Hanoi (VNA) – By July 2017, the Republic of Korea (RoK) posted a double-digit export growth for seven months in a row, according to the Ministry of Trade, Industry and Energy. 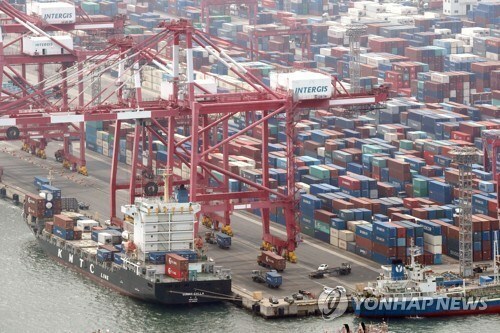 Outbound shipments came to 48.85 billion USD in July, up 19.5 percent against the same period last year, the ministry was cited by the Yonhap News Agency. The trade tally showed imports advancing 14.5 percent on-year to 38.2 billion USD last month. Last month's trade surplus was10.6 billion USD, marking 66 straight months that the country's exports have exceeded imports. Exports of computer chips surged 57.8 percent year-on-year in July to 7.89 billion USD. Sales of ships skyrocketed 208.2 percent last month to extend its winning streak to five months. Excluding shipments of ships and chips, Asia's fourth-largest economy saw its exports gain about 2 percent in July.